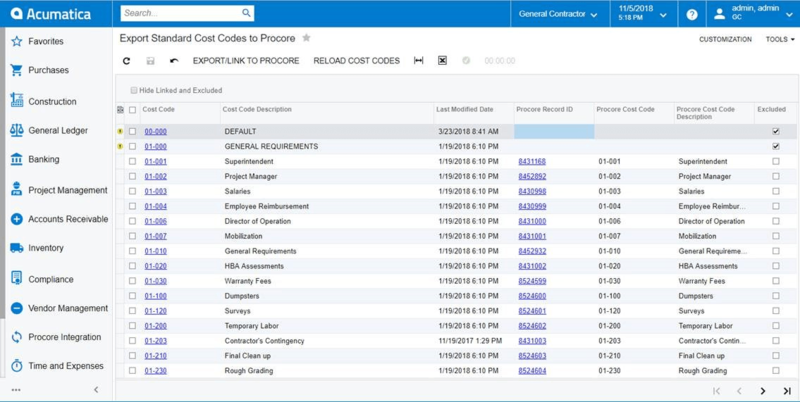 Acumatica Construction Edition enables you to easily export and/or synchronize records between Acumatica and Procore Project Management for the customer, vendor, project, cost codes and more. 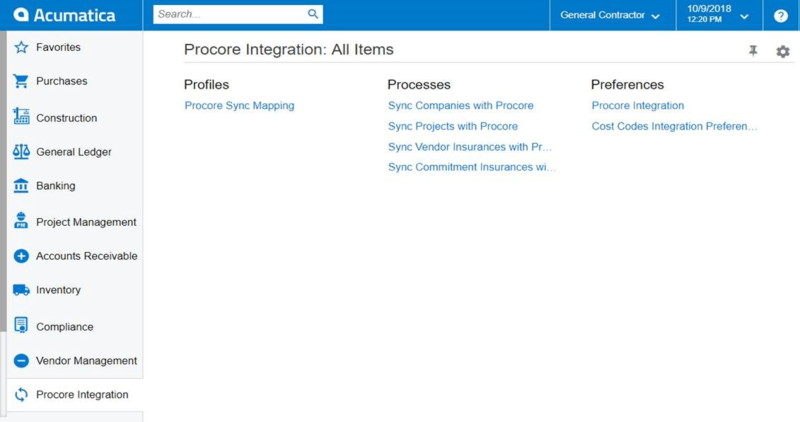 The Procore Integration workspace within Acumatica makes mapping data easy. 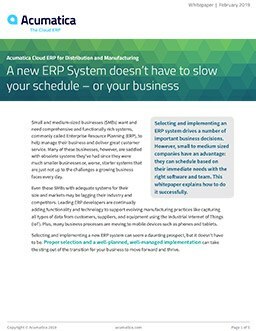 With the synchronization process, you can seamlessly update Procore fields with changes to those corresponding fields in Acumatica. 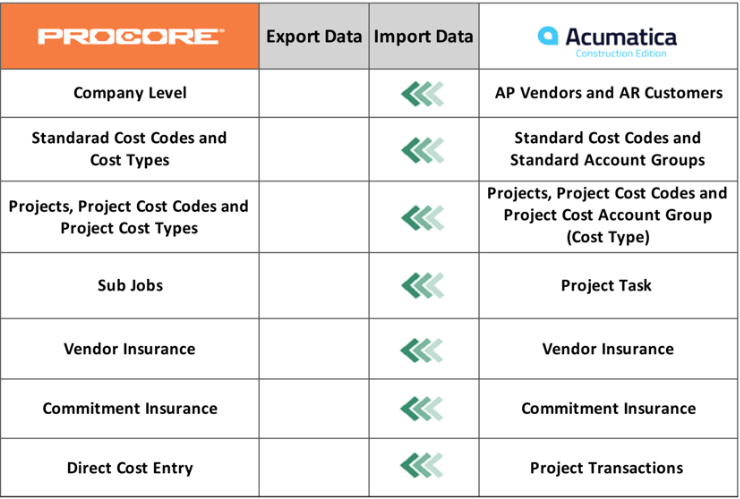 The export feature works across all the records exported to Procore from Acumatica or linked between the two systems. To learn more, please visit Procore App Marketplace.